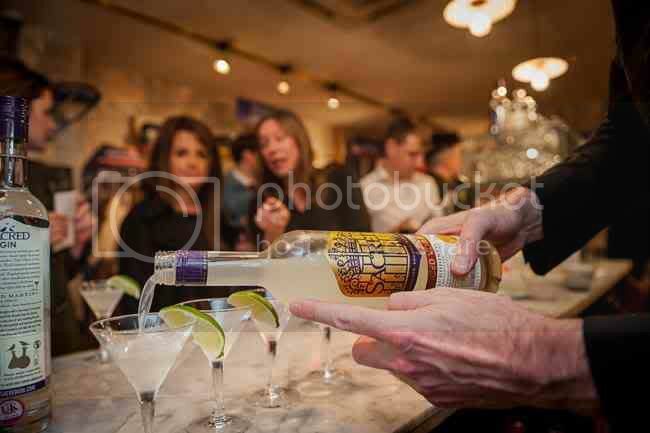 The third year of the ever-growing London Cocktail Week was held earlier this month. This year, while much of the activity was concentrated around Covent Garden's Seven Dials, there were offshoots all around London. 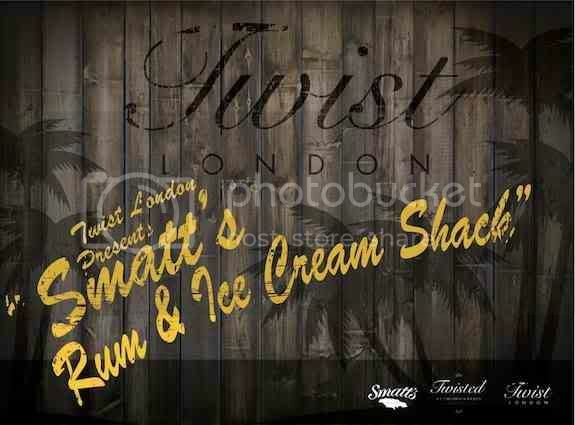 A highlight of the week was definitely Smatt's Rum & Ice Cream Shack. 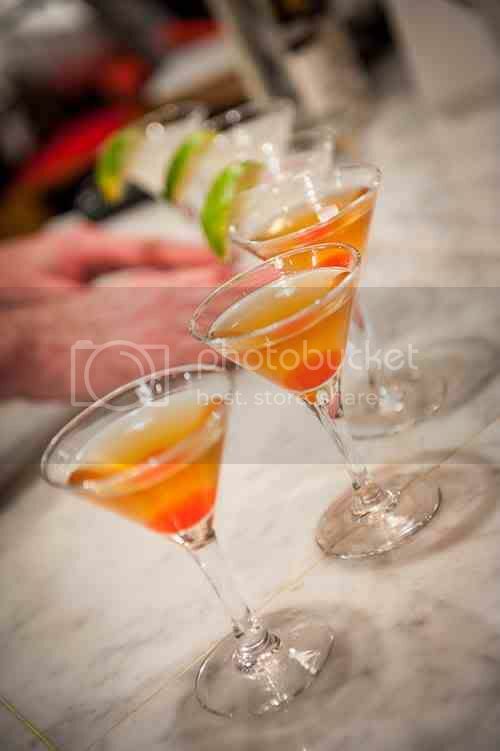 Featuring Smatt's Jamaican rum, these were high voltage cocktails disguised as an innocuous soft scoop. Delicious but deadly, which was why the pop-up on Monmouth Street was packed to the gills. Let's hope Twist London, the creators, decide to find another home soon. Murdock, the famed purveyor of grooming products for the discerning gentleman, collaborated with Sacred Gin of Highgate. This boutique gin is crafted by Ian Hart at his north London home and he had created a special Murdock Gin to mark the occasion. The thinking behind it was that many of the ingredients used in creating Murdock's popular colognes were also used in the production of gin.The Murdock Gin contained a heady mix of wood, fruits and precious spices such as Patchouli, cedar, Seville oranges, cloves and nutmeg and the result was an aromatic and refined gin which was beautifully showcased in the two cocktails created for the occasion. The Avalon Martinez was sharp and citrussy, with Campari and lemons as well as the gin while the Black Tea Gimlet featured essence of black tea and lime. Strong but very well balanced. Gin has been having a moment for a couple of years now and this was evident in the number of gin-based cocktails during the week. Rum and whisky are also seeing interest from the new wave of London mixologists with the Worship Street Whistling Shop showcasing Talisker and oysters and Singleton of Dufftown (a winner of the World Whiskies Awards 2012) But, I was relieved to see that vodka had not been completely usurped, with Ketel One, Belveder and Zubrowka flying the flag for this fine spirit at Dial Bar in Seven Dials and uber cool Happiness Forgets in Shoreditch. Kopapa, Peter Gordon's pan-Asian Covent Garden restaurant also entered into the spirit of things by collaborating with Sipsmith. There were two feature cocktails which were paired wth Kopapa's small plates such as Spring Rolls of Slow Roasted Tom Yum Pork, Coriander, Wombok (no, me neither) and Lime Mayonnaise. The Shiso Martini was a stand-out, made with Sipsmith barley vodka blended with shochu (Japanese or Korean plum spirit) infused with shiso leaves and garnished with pickled ginger. Complex but refreshing and moreish. 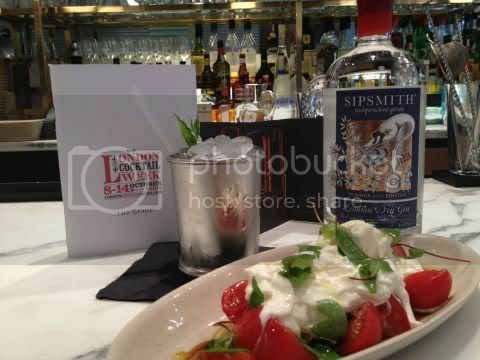 As London Cocktail Week mutates seamlessly into London Restaurant Festival there will be many more opportunities to explore spirits old and new and to indulge in some exciting food and cocktail pairings. 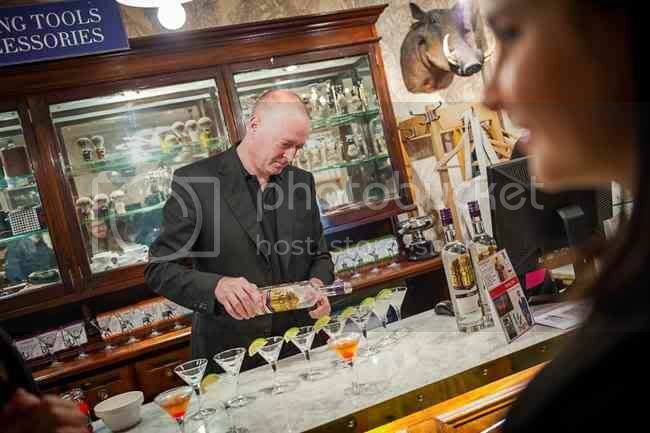 To get an early start on next year's London Cocktail Week visit their website here.